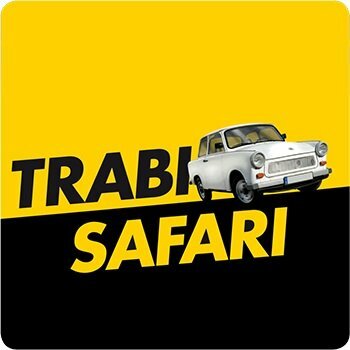 Herzlich Willkommen | Trabi-Safari | Aufregend anders! 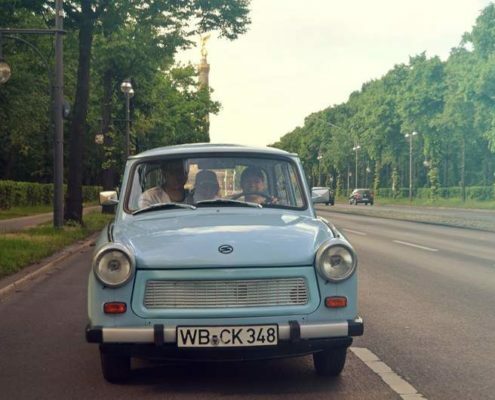 Explore Berlin with your team behind the wheel of the unique Tra­bant car. Get cre­ative with our Tra­bi SAfari or go on a Tra­bi City­tour with us. 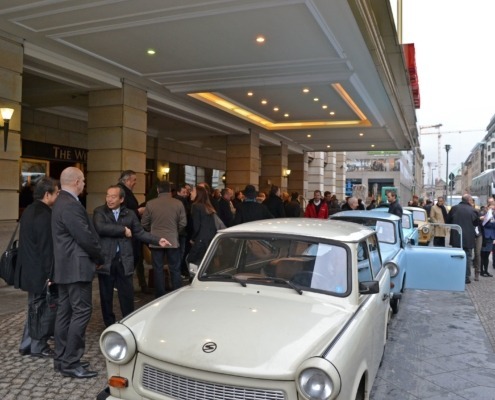 The Tra­bant was East Germany’s answer to the VW Bee­tle and became the most icon­ic and afford­able people’s car in the for­mer social­ist Ger­man Demo­c­ra­t­ic Repub­lic (GDR). In 1964, the Tra­bant Mod­el P601 was intro­duced and soon became the most sought after car in East Ger­many. Since peo­ple had to wait up to 10 years for one to be deliv­ered, the new car became a fam­i­ly mem­ber. It was light, com­pact, and rugged, and its con­struc­tion was so sim­ple that own­ers could car­ry out their own repairs. Even­tu­al­ly, it was the fam­i­ly car for three decades, mak­ing hol­i­days and pic­nics pos­si­ble. It was in a Tra­bant that thou­sands of East Ger­mans drove over the bor­der when the Berlin Wall fell on Novem­ber 9, 1989. This made the Tra­bant one of the most rec­og­niz­able sym­bols of the failed for­mer East Ger­many and the fall of com­mu­nism. Now, almost 30 years after the Ger­man reuni­fi­ca­tion, you can dri­ve your­self this cult vehi­cle through Berlin. The name Tra­bant means „fel­low trav­eller“ and we invite you to join us in this one-off motor­ing expe­ri­ence. Expe­ri­ence close up the unique his­to­ry of Germany’s cap­i­tal in one of our fun and excit­ing sight­see­ing tours – the Tra­bi Safari. Fol­low our con­voy for 2 hours and go with us on a Tra­bi City­tour. Dri­ver change includ­ed.